Just like people, the importance of good nutrition for pets cannot be overstated. You know how great you feel when you make healthy choices with your diet, and our pets are no different. In fact, studies show that the right pet food can not only help your pet feel their best, it can actually lengthen their life! Amazing. But again, how do you choose the right pet food for your pet? Pet foods must be nutritionally balanced and offer a complete source of a pet’s diet, and there are literally hundreds of options out there. Before you throw up your hands in confusion, here are some things you will want to consider. Age – Age should always be a consideration when selecting a pet food. Puppies and kittens need extra protein to help their bodies grow and develop properly. Senior pets can benefit from a different ratio of fats, carbohydrates, and protein, since their energy needs begin to decline with age (though not always). Activity – As mentioned above, some pets have different energy needs based on their lifestyle, and these should be taken into consideration when selecting a pet food. Breed – Breed should also be a consideration. Large breed dogs have a different nutritional need than toy breeds, and some breeds can benefit from a diet that takes their genetic predispositions into account. All foods should contain these three elements: protein, fat, and carbohydrate. The ratios between these depend upon the overall health of your pet, something we can help you to assess. Some pets benefit from a different protein source if they are susceptible to allergies. Other pets may need a urinary/kidney support diet, or one that helps to manage their diabetes. Whatever the health of your pet, you can be sure that we can assess them, and then work with you to select a diet that will help manage any health problems. Raw diets have become popular in recent years. The common thought is that, since pets descended from wild animals, feeding them a raw diet is healthier and more “natural” than a commercially prepared diet. Unfortunately, the marketing wheel has spun this one to a pet’s disadvantage. Veterinarians are concerned with raw diets, since it’s very hard to determine if there is the right ratio of nutrients, or even if all the necessary nutrients for good health are found at all in a raw diet. Adding to that, pathogenic bacteria that can easily make their way from a raw diet into your kitchen, your pet, and even your family, and it’s clear that raw diets are risky. Cooking for your pet holds some of the same concerns. Without very specific knowledge and follow through, it’s tough for the home cook to deliver pet meals that are consistently nutritionally balanced and complete. In addition to a nutritionally complete and balanced diet, make sure that whatever treats you are feeding enhance, rather than detract from, your pet’s health. Many treats on the market today are truly nothing but junk food for your pet. Ask us how to select a nutrient-rich treat for your pet, and make sure that your pet’s calorie intake is balanced when you treat them. If all the above information still seems overwhelming, don’t despair. 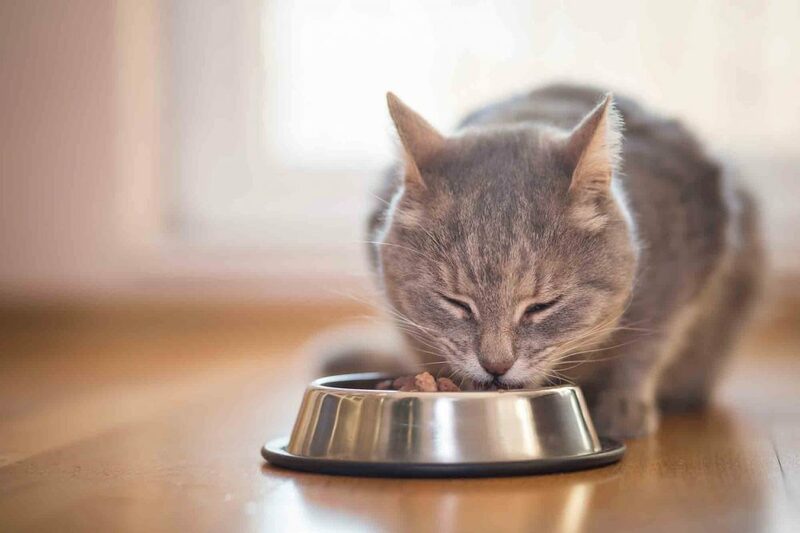 Rocklin Ranch Veterinary Hospital is here to help you navigate the world of pet food and nutrition, and we are excited to help your pet on the path to feeling great with the right diet. Call us today for a consultation on selecting the right food for your pet. Next: Do I Need to Change Pet Food According to Age?